Dance Marathon is coming up this Friday. Last year, I participated as dancer for the full 24 hours. This year, I will be a “moraler” for an eight hour shift on Friday night. Orange Leaf, a frozen yogurt shop downtown Holland, has been running a competition this year to see who can earn the most money in receipts for Dance Marathon. Part of the purchase goes to the fundraiser and the winner gets $500 donated to their team page at the end. 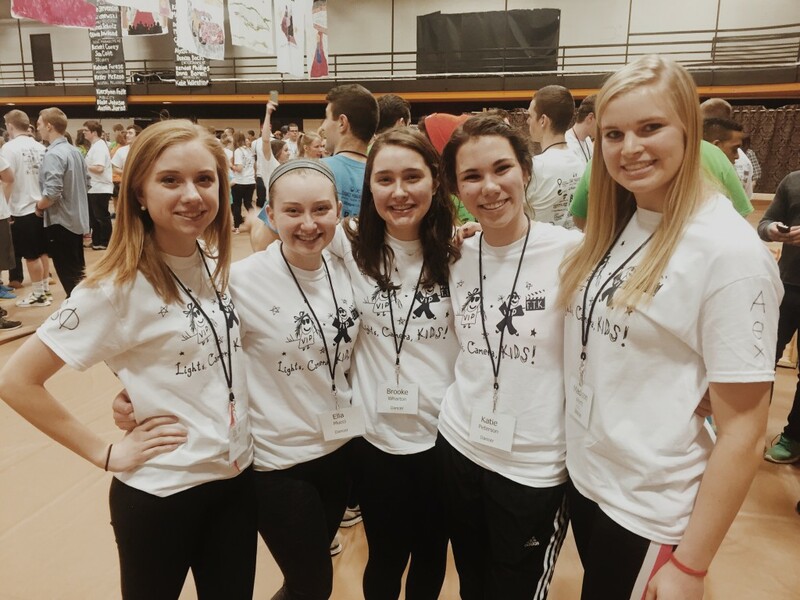 Some friends and I from last year’s Dance Marathon! The store set up a bracket with teams facing each other a few weeks ago. Now, the week of Dance Marathon, there are only two teams left for the final round. One of those teams is my sorority. While we really want to win, we know that at the heart of this competition is the kids. No matter what sorority comes out on the winning side, we know that it all goes to the same place, to benefit the lives of the children suffering from diseases they cannot control. If you’re in town this weekend, go check out Orange Leaf to help raise money. I’m not going to tell you to put your receipt in my sororities bucket, but at least put it somewhere so that the funding counts. I really admire what the Holland community has been doing to support Dance Marathon. This week is also called Blitz Week, where various Holland chain restaurants donate a portion of your sale to Dance Marathon. It’s so cool to see the community coming together for such a good cause.